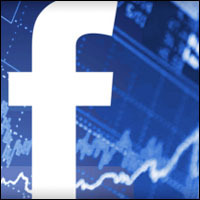 According to research Facebook has halved the reach of brands’ page posts within the network. Users will now only be shown the posts with the highest engagement rates from other fans, with less engaging ones being thrown by the wayside – all thanks to Edge Rank algorithm changes. It seems that Facebook is looking to level the algorithm playing field between brands and family/ friends. For business this essentially means that their content will need to be just as engaging as non-commercial posts are, to ensure being seen. The way forward for brands is higher quality, more engaging posts, alongside paid promotion. The first statistics came after a period of doubt, over reports of an EdgeRank change. It was generally thought that this change would lower the reach of posts by anything between 5-40 per cent. These figures are most certainly interlinked, for instance the decrease in reach almost certainly would affect the fall in fan averages. Of course, the drop rate varies for businesses according to a range of factors and there is a discrepancy in reach depending on the above variables. Of course, the fallout of such a scenario maybe that though reach is halved, engagement levels stay in and about the same levels for businesses that roll with the punches. By doing away with mass posting and allowing the cream to rise to the top, engagement levels should naturally improve – ‘should’ being the operative word. The cynical among us are swayed into thinking Facebook has optimised the news feed in this way to increase the ad revenue. The less conspiracy theory prone would understand it to be a way to balance out the numbers of page Likes per person, as well as brands rising activity. Of course, creating an algorithm that pushes the more engaging posts to the fore and leaves the dregs at the bottom is a quality content first strategy. For business it means high quality, interesting and engaging content is the king of Facebook. If your posts aren’t garnering interest it’s a waste of time and money. EdgeRank will even now take negative feedback into account and hiding of posts and reporting as spam will also affect positioning. Companies with simplistic posting strategies will fall by the wayside with these changes. The transition in the EdgeRank algorithm means it’s not about just being there, it’s about interacting and being interesting in the same way posts by people’s close friends and family are. Some can even see parallels with Google’s content pushing strategies here and it seems these changes are partially there to weed out the useless and inane posts that provide no value. If you’ve been doing the opposite and creating quality engaging content that is getting substantial reach, then by all means continue. However, for some businesses it may be now necessary to rethink their social media strategy. Have you noticed the Facebook algorithm change in real time? Has your page been affected? Let us know via the comments.